Sometimes you do not need to do much to add a little flare for a special occasion. Last year, we needed some straws for my daughter's Halloween party. Since I could not find exactly what I was looking for at the party store, I opted to add my own flare to a plain straw to make it "Halloweenified." 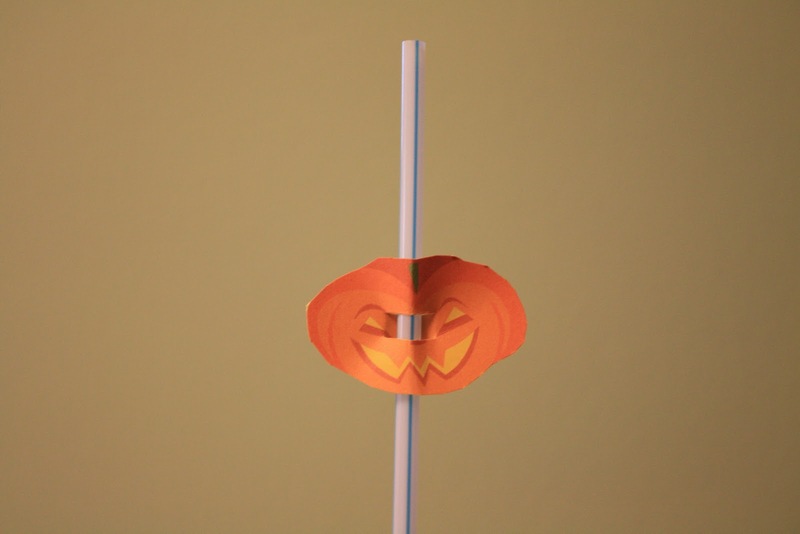 To make the straws, all I needed was some card stock, a jack-o-lantern graphic, scissors, and straws. I created a document that would print the desired number of jack-o-lanterns on the card stock. I cut the card stock down to a standard 8.5x11 paper size. I printed out my jack-o-lanterns onto the card stock. Then, I cut out my jack-o-lanterns. Next, I put two small slits into each jack-o-lantern. The slits were only big enough to fit the straws in. Finally, I fit each of my straws into a jack-o-lantern.